Luke 21:24 And they [the Jews] shall fall by the edge of the sword, and shall be led away captive into all nations: and Jerusalem shall be trodden down of the Gentiles, until the times of the Gentiles be fulfilled. Its important to appreciate that these words were spoken over thirty years before the fall of the Holy City at a time when the Zealots and others still believed restoring the Kingdom to Israel was possible. It was an astounding statement for the Master to make. The Jews would be persecuted until the end of the Times of the Gentiles as Master Y'shua foretold. As we have seen the primary function of the Moshiach is to restore Israel and yet even during his ministry it is obvious that he would not accomplish this messianic requirement. Another will come: The one Christians call Antichrist, Muslims call Dijal, the Tanakh's Neviim calls the Little Horn and the world will call Rex Mundi, King of the world. Prophet Y'shua and the other New Testament prophets speak harmonious with the earlier Hebrew Neviim (prophets) in foretelling that the Rex Mundi will appear prior to the coming of Moshiach. Among the New Testament Prophets Paul and John give us the most detailed information. Beginning shortly after the death of Prophet Y'shua the Nazarene Way began to fragment into various heresies. These heresies are referenced in the second and third chapters of John book of the Revelation when discussing the seven metaphorical churches that would finalize the Gentile Times. These and many other Christian heresies are known to history. What is less certain is what the original teachings of Master Y'shua were. The Apostle Paul was frequently forced to confront the developing heresies and disinformation that eventually lead the establishment of the various post Y'shua sects, the largest of these being the Universal Roman Church. Roman Catholicism eventually gained ascendancy as the authorized successor to Master Y'shua when the might of the Roman Empire formally forbade all other expressions of the Nazarene Way and declared "Judaizing" a capitol offense. On the heels of Prophet Y'shua's death it was being taught by some people that the Master hadn't actually died. Luke 24:39 references an example of this. As reports of his resurrection began to spread the conviction that he would soon return and take up the messianic mantle and establish the Kingdom began to spread. This was after all the principle role of the Moshiach. Paul, as he boasts, had been expertly trained in the Torah (Act 22:3) and he knew that without restoring the Kingdom there was no way the Master could have been the Moshiach. He also understood that hysteria and unsubstantiated claims would eventually destroy their movement. In order to establish stability and avoid false hope and in an attempt to combat the various false doctrines that were circulating he wrote to those Nazarenes living in Thessalonica. Literally, "...that the day of the anointed is at hand." These claims are discussed above. Paul here discusses this "other who will come in his own name" in much greater detail. He explains that, "that day shall not come, except there come a falling away first, and that man of sin be revealed, the son of perdition..." That 'falling away' references the falling away of the Gentile Church (Rom 11) and its eventual 'spewing out' (Rev. 3:16) as it is removed from the Tree of Israel (Rom 11:21). This began with the removal of the bands from the Tree of Israel in 1948. Rev. 13:4 And they worshipped the dragon which gave power unto the beast: and they worshipped the beast, saying, Who is like unto the beast? who is able to make war with him? Of special note to our present study however is the comment, "And then shall that Wicked be revealed, whom the Lord shall consume with the spirit of his mouth, and shall destroy with the brightness of his coming." "That Wicked" is literally "Anomos" in Greek and refers to one who departs from the Torah, a violator of the Torah. This wicked person will turn away from the Torah and away from HaShem (verse 3). This lie is seen in that he will oppose and exalt himself above all that is holy and that "he as God sitteth in the temple of God, showing himself that he is God." This life therefore is that he will convince the world that he is God incarnate. At Revelation 13:4 (quoted above) we see that the entire would will worship the Rex Mundi. This is important. The Rex Mundi will "sit in the Temple of God" however the Temple was destroyed in 70 CE. Since that time there has been no Holy Temple of HaShem and so the Moshiach could not have come before 1948 when Israel was restored to Eretz Israel. Daniel 9:27 And he [the Rex Mundi] shall confirm the covenant with many for one week [seven years]: and in the midst of the week he shall cause the sacrifice and the oblation to cease, and for the overspreading of abominations he shall make it desolate, even until the consummation, and that determined shall be poured upon the desolate. The Rex Mundi will sign a seven year treaty or covenant between Israel and it's enemies. As part of this agreement the temple will be rebuilt. He will be declared the Moshiach and make a great speech from within the newly built Temple. I discuss this aspect of the prophecies in detail elsewhere on this site so for now, the appearance of the Rex Mundi on the world scene will the sign that the coming of the Messiah is near. While the identity of this global ruler is not yet apparently, it is likely that he is already on the scene. Revelation 1:1 The Revelation of Jesus Christ, which God gave unto him, to show unto his servants things which must shortly come to pass; and he sent and signified it by his angel unto his servant John. According to Prophet Y'shua therefore he will not be the Moshiach as no one will have previously known the Messiah's identity when he comes. Even Prophet Y'shua didn't recognize the rider of the horse. In part one of this study I discuss that Prophet Y'shua didn't fulfill the requisite conditions for being the Messiah, and yet he was in many cases a good candidate for the role. There were other viable candidates as well. For instance in the 17th century Shabbatai Tzvi was accepted by many Jews as the Moshiach. However on September 15, 1666 he was brought before the Sultan and told to reject Judaism and embrace Islam or he would be put to death. Shabbatai Tzvi abandoned Judaism and "reverted" to Islam leaving his followers in shock. Tzvi was made "Keeper of the Palace and given a pension. So when will the Moshiach begin his ministry? Traditionally Jews have avoided this question. The rise of Christianity brought much suffering the Jewish people, as did the betrayal of Shabbatai Tzvi and other would-be redeemers. Jewish scholars therefore are hesitant to make false prophecies. One of these requirements has now been met: "In a generation that loses hope..." A huge percentage of Jewish Holocaust survivors and Jews not directly touched by the Shoah lost their faith in HaShem after that tragedy. It was that very generation that witnessed the bands on the Tree of Israel fall in 1948. 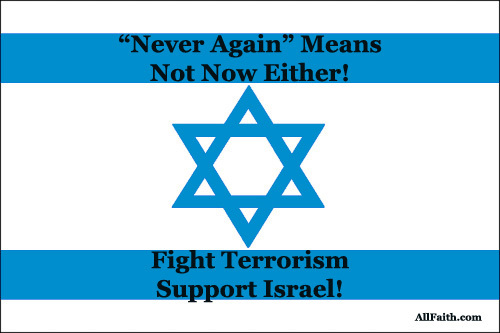 Due in part to that tragedy religious Jews joined secular Jews in embracing Zionism and the world joined them in declaring "Never Again!" But the world has a short memory and today people all around the world are calling for the destruction of Israel, some are even calling for genocide. Even some Jews are calling for Israel to surrender their land and bow before the forces of the Islamic Ummah! Why is Israel so hated? Simply because thy are Jews! The Chosen of HaShem. There is no other feasible reason. The Left and the Far Right of Western politics are joined in their commitment to surrender Israel to its enemies. II Thessalonians 2:1 ... be not soon shaken in mind, or be troubled, neither by spirit, nor by word, nor by letter as from us, as that the day of Christ is at hand. Next on the prophetic agenda: The rise of the Beast.